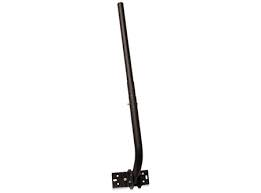 Winegard 28 Inch J-Pole superior quality good for mounting a channel master 4221HD antenna for getting that antenna higher. This mount can be mounted either horizontally or vertically as the base is adjustable. One of the most popular HD Antenna mounts on the market. Winegard 39 Inch J-Pole perfect for a 8 bay antenna mounting like the channel master 4228 HD as the channel master 8 bay requires 2 u-bolts to be used to mount to the J pipe. The mount can be mounted either horizontally or vertically as the base is adjustable. The ClearStream™ J-Mount is just like our basic J-Mount - only smaller. This 20" mast with a 1" diameter is ideally suited for our ClearStream™ Antenna line. Like our basic J-Mount, the CS J Mount has a pivoting foot, which allows installation on vertical or horizontal surfaces. Mounting hardware is included. Channel Master 3090 (CM-3090) Universal Mount. Adjustable J-pole (Jpole) to support antenna. up to 44 inches. 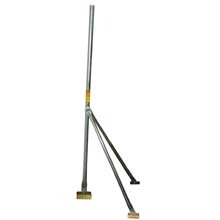 Antennas Direct Two-Piece Mast Kit is made of powder coated steel and is swaged at one end, so the poles fit into each other to form a 5 ft pole. 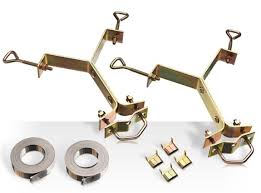 Channel Master 3078 (CM-3078) Swivel mounted designed for a roof attic mount supports mast. Channel Master 3079 (CM-3079) wall mount used for mounting against the wall or sometimes a chimney. 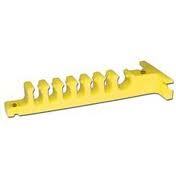 Winegard heavy duty 4 inch wall bracket to support mast. 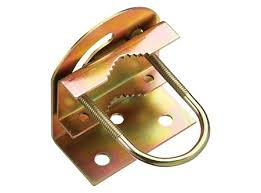 Used on Chimneys to pass the ledge if drilling is a prefered method. 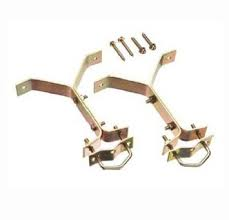 Channel Master CM9032 Universal TV Antenna 6" wall mount stand-off bracket kit is a quick and economical mount for adding off-air antennas to your home entertainment system. 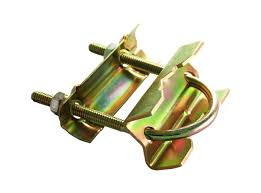 It is designed for home outdoor wall mounting. 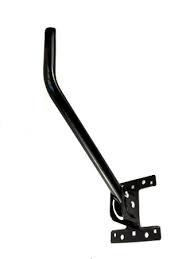 he wall mount offers heavy duty steel construction and has 12 inches of standoff from the wall to allow the antenna mast to clear roof over hang. 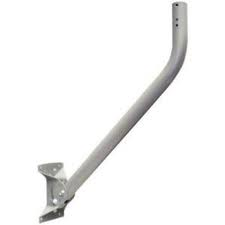 The wall mount offers heavy duty steel construction and has 18 inches of standoff from the wall to allow the antenna mast to clear roof over hang. 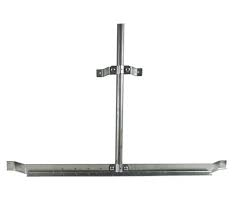 Wall Mount offers heavy duty constriction and has 24 inches standoff from the wall to allow the antenna mast to clear the roof. 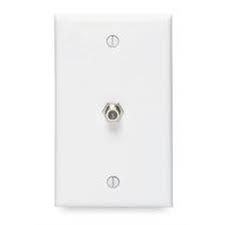 Channel Master 9017 (CM-9017) U bolt nest assembly supports mast. 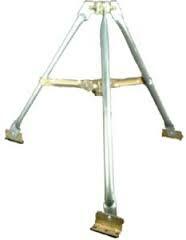 Channel Master 3092 (CM-3092) heavy duty roof tripod comes with a latch patch kit (tar pack). 3 foot tripod support up to 10 foot mast. 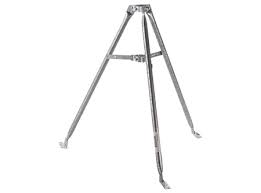 Winegard SW-0010 3 foot tripod supports centre mast for mounting you HD TV antenna Heavy duty tripod made with stainless steel. 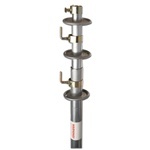 Vent pipe mount heavy duty steel galvanized antenna mast up to 1 1/4" set of 2 pair vent pipe from 2 1/2" to 3 3/4" O.D. 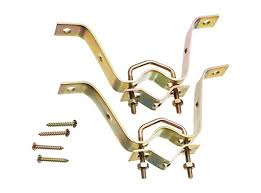 bracket support, easy to install. 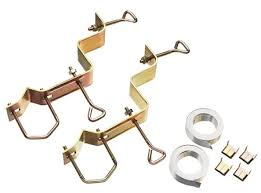 For installing a satellite or antenna under the eave of your roof. Single base frame covers approximately six square feet.. To be used with 6 cylinder blocks. 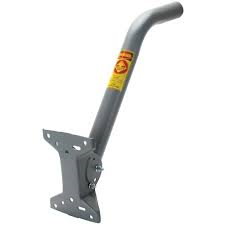 SkyWalker 32816 Non-penetrating roof mount 36 inch by 36 inch Mast not included. 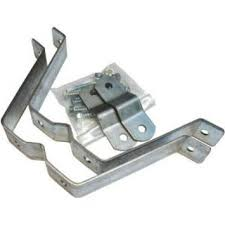 These non-penetrating roof mounts are constructed of steel and use standard concrete blocks to anchor. 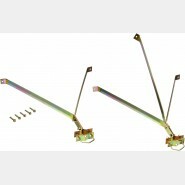 For use with DBS, antenna and satellite internet systems. 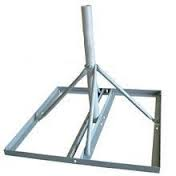 Takes standard mast pole sold separately and up to 8 cylinder blocks to be used on base. 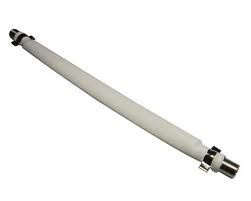 Winegard TB-0005 Antenna swedged mast 5 foot mast section interconnect. 18 gauge galvanized steel masting, in 5 ft. lengths. 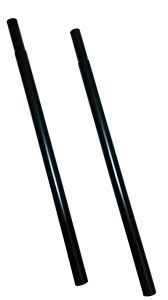 •We only sell antenna poles in 5ft lengths, but they can be stacked for greater lengths. 1.25, which is the standard for most TV and FM Antennas •We only sell antenna poles in 10ft lengths, but they can be stacked for greater lengths. Rubber mat for non penetrating roof mounts.